SBC supply and install business telephone systems which offer a high level of flexibility and can be integrated into any existing infrastructure. 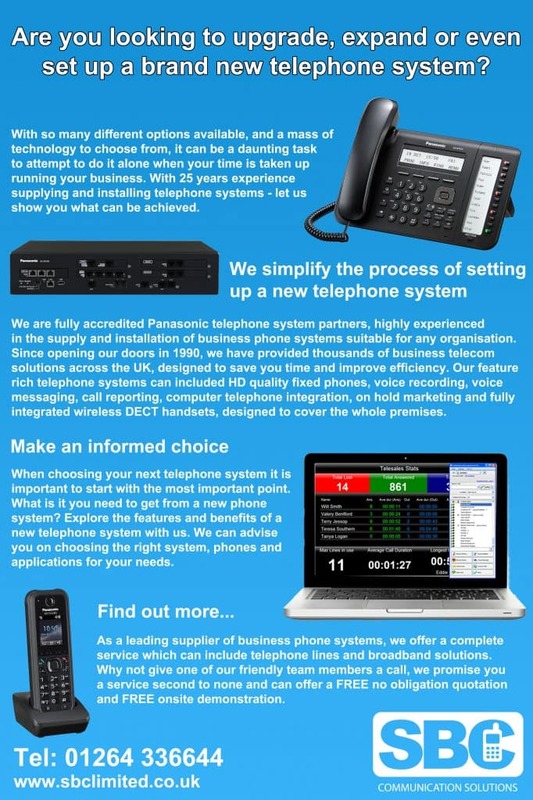 Our phone systems can be tailored to suit all individual requirements – regardless of whether it’s to be used in a small office with two people or a large company with multiple locations. For further information, contact us today for a FREE SITE SURVEY or NO OBLIGATION QUOTATION.